The name "antelope ground squirrel" is used for four species and one subpopulation: the white-tailed antelope squirrel (Ammospermophilus leucurus), the Texas antelope squirrel (A. interpres), the Harris's Antelope squirrel (A. harrisii), the Nelson's Antelope Squirrel (A. nelsoni) and the Espiritu Santo Island antelope squirrel (A. insularis), which is now considered a subpopulation of A. leucurus. A range of adaptations help these creatures to survive in the wild. White-tailed antelope squirrels have the longest feet of all members of their genus. These large feet allow them to run quickly and help them to escape predators. To stay cool in their hot desert environment, they're mostly active during the early morning and late afternoon, retreating to their burrows during the hottest part of the day. 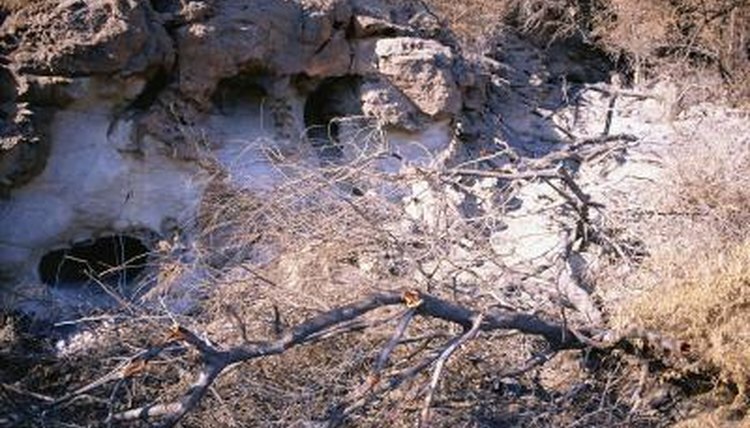 The Espiritu Santo Island population has been reported to make shrill alarm calls to warn other squirrels of danger and avoid predation. Nelson's antelope squirrels—also known as San Joaquin antelope squirrels—have adapted to their desert home and can survive in both hot and cold extremes. They're able to function with a body temperature of up to 104 degrees Fahrenheit. Although they don't hibernate, they're less active during the winter, when food is scarce, and are able to survive harsher months on their fat reserves. Their omnivorous diet allows them to find food throughout the majority of the year, whether insects, plant matter or seeds. Despite living in hot, arid climates, Texas antelope squirrels have adapted a novel way to regulate their body temperature. When they get too warm, they'll retreat to a shaded area and lay flat, with their limbs spread and their stomachs pressed against the ground. Their excess heat rapidly disperses and they're once more ready to move. This allows them to stay active even through the hottest parts of the day. While most antelope ground squirrels live in burrows made by other creatures, Harris's antelope squirrels dig their burrows themselves. Their large, sharp claws help them to dig effectively. Although these squirrels can't sweat, they're able to cool themselves down by salivating. They also keep themselves cool by holding their large tails over their heads: this provides them with their own source of shade, much like a parasol. As they don't hibernate, they don't store much store body fat. However, in colder areas they remain inactive during the colder months, living off caches of stored food.